Tax agents are holding their own against the ATO and its push for taxpayers to adopt myTax services, according to new figures released by H&R Block. According to research conducted by H&R Block, tax agents have increased their share of tax return preparations in 2015 by 2.3 per cent to more than 3.6 million returns in total to 24 September 2015. This coincides with an 8.4 per cent jump in returns lodged electronically via the ATO’s myTax and e-tax systems to 1.8 million returns. Mark Chapman, director of tax communications at H&R Block, argued that taxpayers have made up their minds about who should handle their tax reporting. “The ATO is pushing myTax hard but taxpayers clearly have judged that they will maximise their deductions and the accuracy of their returns if they use a tax agent,” he said. Mr Chapman added that taxpayers who use myTax and e-tax were more likely to make mistakes in their tax returns, leaving them susceptible to tax audits. Smaller refunds due to missed deductions were also a contentious issue, according to Mr Chapman. The National Tax and Accountants’ Association, a professional body for accountants and tax professionals, echoed the sentiment of Mr Chapman. Speaking about the direction of tax reporting processes, Geoff Boxer, NTAA chief executive, and Rodney Wilson, national operations manager, noted that tax agents are the victims of the “unintended consequences” of a push towards myTax and electronic reporting, with agents “taken out of the loop” in the reporting process. “A lot of these changes that they are making might be making life easier for the taxpayer in lodging their return, in doing so at the expense of making it easier for the tax agent,” said Mr Wilson. 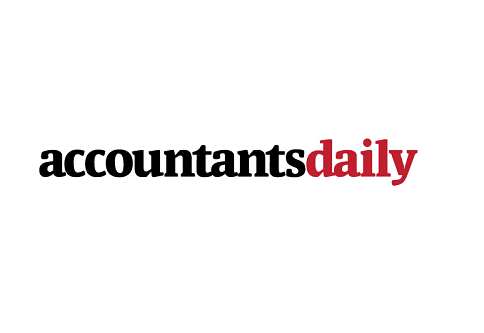 The NTAA spoke to AccountantsDaily about the association's strong opposition to a “standard deduction rate” model, as proposed by the previous government, and reiterated by the ATO. “We wouldn’t agree with that model,” Mr Boxer stated. “I think it’s important to make sure that taxpayers have their rightful deductions protected, and that’s the major premise,” he said. “When that was introduced a couple of years ago, I think they were talking about a $500 standard deduction moving up to $1,000. The average claim at the moment is $2,500 in an average tax return, so there would be a lot of taxpayers missing out if they just accepted the standard deductions,” Mr Wilson concluded.